QUARTZ HILL – The Quartz Hill Chamber of Commerce will be serving up a free Christmas dinner again this year to local residents. Quartz Hill residents are invited to a festive Tree Lighting and Christmas Dinner this coming Saturday (Dec. 7). 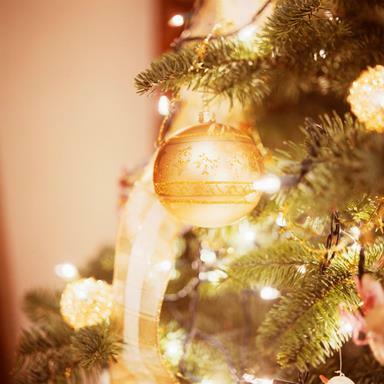 The Tree Lighting starts around 5:15 p.m. at the Chamber office, at 42043 50th Street West. The dinner follows at 6 p.m. at the Liberty Baptist Church, located at 4829 West Avenue L-8 in Quartz Hill. The event is expected to run until about 9 p.m.
A free Christmas dinner of turkey or ham with all the trimmings, with side dishes hosted by the Quartz Hill Women’s Club. A variety of raffle prizes, including an 8-foot Christmas tree. A special appearance by Santa Claus, with gifts for the little ones. Marines on hand to collect donations for the local Toys for Tots program. “This event is put together to help bring our community together with the business community,” said Quartz Hill Chamber President Dennis Bogard. He said the annual event has been going strong for more than a decade. “It’s so our business community can hold hands with the rest of the community,” Bogard added. For more information on the Quartz Hill Chamber of Commerce’s Tree Lighting and Christmas Dinner, contact Bogard at 661-609-5471 or email pacrat@rglobal.net.